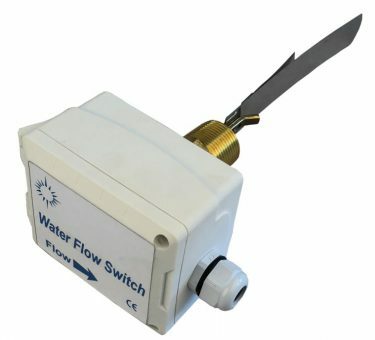 Flow Archives - Temco Controls Ltd.
Water Flow Switch, Stainless Steel Paddles, brass fittings, SPDT switch, liquid, water, ethylene glycol solutions.The TF50-P Flow Switch is used to prove flow in liquid lines using water, ethylene glycol solutions, or other liquids compatible with brass and phosphor bronze parts. 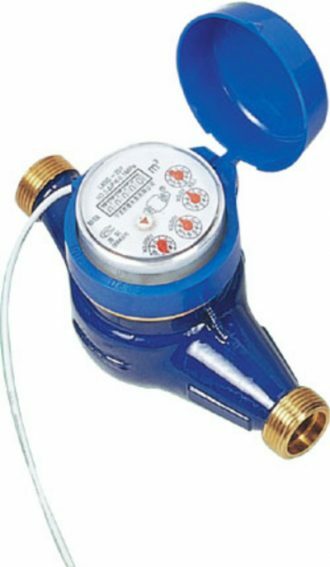 The SPDT contact switch is activated by the flow of liquid through the pipes. The set point is adjustable. 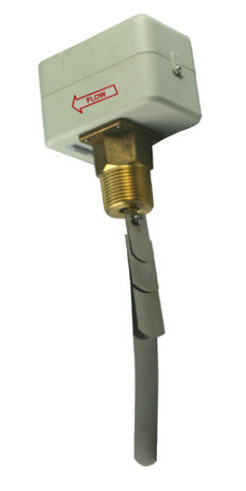 The duct air flow switch provides feedback of air flow in HVAC duct work. It can be connected directly to the control system as a feedback point or can be directly interlocked to prevent operation of heating and cooling equipment when there is no air flow. Stainless steel paddle resists corrosion. Adjustable spring tension screw allows setting the air flow trip point. 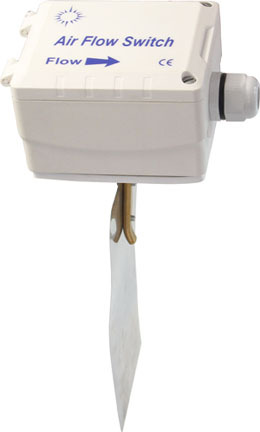 The paddle can be trimmed down for higher flow applications. The cable enters through the water tight gland, or the gland can be removed and replaced with an EMT or flex connector for wiring with EMT or metal flex. 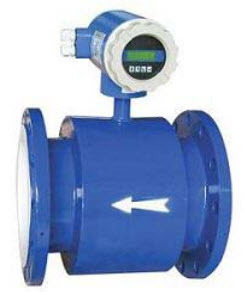 The Pitot Tube is a differential pressure producer suitable for air flow measurement.It includes multiple sensing points to measure total and static pressures. It is easy to install and cost effective. It offers simple, low cost installation into pipes and ducts, and high energy savings due to its low unrecovered pressure loss. There are no moving parts or sharp edges to wear, so long term accuracy can be maintained. 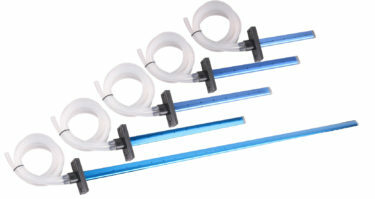 It contains a lid,connector and two 1 meter length pipes.All Extrusion pipe could be cut on site with a hacksaw,no need a special tool.For example:Buy a 12″ long pipe,and cut to 8″,buy 1m long pipe and cut to the length needed.